Manila, Philippines- Through announcement on social media, some local government units (LGUs) in Metro Manila advise class suspensions for Tuesday, August 13, 2013 as Typhoon Labuyo still brings moderate to heavy rains. "NO CLASSES CITYWIDE for DAYCARE and PRE-SCHOOL tomorrow, August 13, 2013 (Both Public and Private Schools). CLASSES WILL RESUME tomorrow for ELEMENTARY and HIGHSCHOOL levels (Public and Private Schools)." Meanwhile, the City government of Taguig also cancelled classes tomorrow for daycare, elementary & high school students in public and private schools. Advisory Update: No classes tomorrow (Aug. 13, 2013) for daycare, elementary & high school students in public and private schools. Angeles, Pampanga- Public Service Announcement from Angeles City Mayor Ed Pamintuan: Despite PAGASA's optimistic forecast of a cloudy weather with rainshowers and possible thunderstorms for tomorrow, the province will still experience rains with gusty winds over the night. To keep the safety of the pupils, Mayor EdPam declared the suspension of classes (public and private) tomorrow, Aug. 13, for preschool and kindergarten level only. Pangasinan - No classes from PRESCHOOL up to HIGH SCHOOL tomorrow. 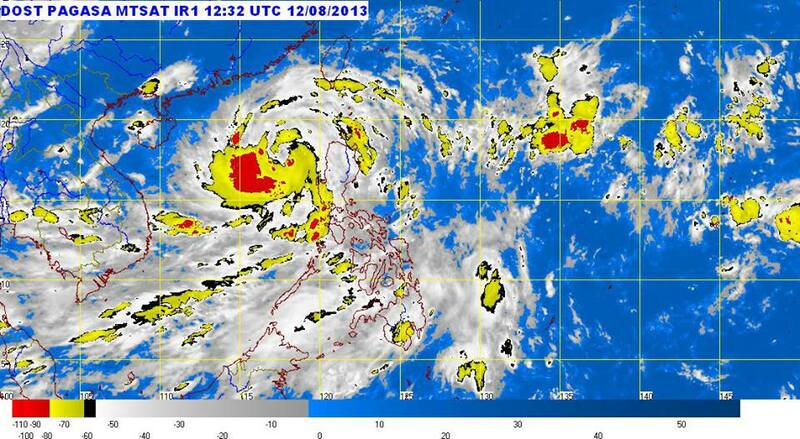 PAGASA said that 'Labuyo', the strongest tropical cyclone so far for this year will exit PAR Tuesday morning.